$40.00 for $80.00 - Cat Grooming from Bark Avenue, a $80 Value for ONLY $40! Valid only for small breed grooming services only. We have a team of four cat qualified groomers on staff. Your pet's comfort is always our number one priority. 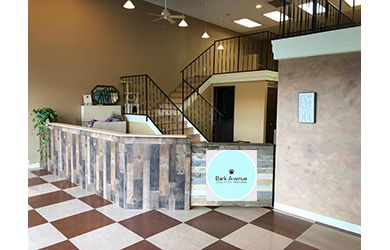 Check out this BRAND NEW luxurious and full-service grooming salon located in Kennewick next to the DMV. Book your Kitty’s appointment now! Call/text 509-591-8923. There are many benefits of professional cat grooming. Grooming your cat regularly maintains a healthy coat and skin. Regular nail trims not only help keep the nails short but helps reinforce healthy paw structure and posture, and reduces the risk of infection. Not to mention saving you or your furniture from potential cat scratches. 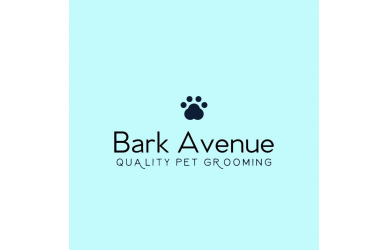 Your kitty will look and smell great when they leave the brand new Bark Avenue in Kennewick! 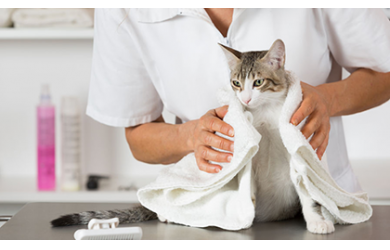 Let the experts at Bark Avenue pamper your cat! Limit ONE PER PERSON plus ONE as a gift. Only one voucher can be redeemed at the time of services. Available for use with select stylist. By appointment only- 24 hr cancellation required. Valid only for cat grooming services only. Subject to additional charges for specific breeds or temperament. Paid value does not expire - Promotional value good 90 days after purchase. No cash value, full amount of voucher must be used in one session. Remainder voucher amount cannot be carried over into multiple sessions or used for gratuity. Limit ONE PER PERSON plus ONE as a gift. Only one voucher can be redeemed at the time of services. Available for use with select stylist. Tax and gratuity not included. By appointment only- 24 hr cancellation required. Valid only for cat grooming services only. Subject to additional charges for specific breeds or temperament. Voucher cannot be used for exchanges, substitutions, products or use for gratuity. Paid value does not expire - Promotional value good 90 days after purchase. Cannot be used with other promotions or offers. No cash value, full amount of voucher must be used in one session. Remainder voucher amount cannot be carried over into multiple sessions or used for gratuity. Remainder voucher amount cannot be carried over into multiple sessions or used for gratuity.